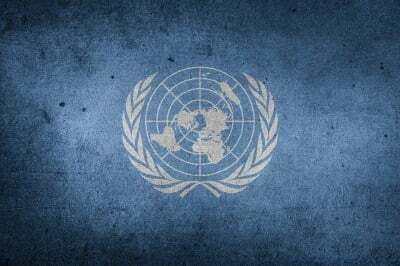 The 71st United Nations General Assembly convened this week beneath the shadow of a series of global crises that threaten to throw humanity into a new world war. This was the backdrop against which US President Barack Obama gave his final address to the Assembly on Tuesday. Obama’s rambling speech, which at times appeared to be ad-libbed, was an exercise in self-contradiction and absurd lies, with Obama’s depiction of the current geopolitical situation standing reality on its head. With due apologies to Shakespeare, some people are born liars, others become liars, others have lies thrust upon them, but all three definitions apply to the current president of the United States. The president, moreover, did not mention that the “peaceful union” that replaced “the battlefields of Europe” was in the midst of dissolution amid growing national antagonisms. Obama was speaking at the first UN General Assembly to take place since the vote by Britain in June 2016 to leave the European Union, giving rise to demands for copycat votes throughout Europe and warnings of a break-up of the entire Eurozone. As for “the battlefields of Europe,” NATO is moving ahead with its deployment of 4,000 troops to the Russian border, with high ranking NATO officials announcing this weekend that all of the troops will be in place by May. Behind the scenes, in the documents of military think tanks, such border troops are spoken of as “tripwires,” creating the rationale for military escalation by NATO in the event of a conflict between the Baltic States and Russia, substantially increasing the chances of a full-scale war between the two most powerful nuclear powers. A substantial portion of Obama’s remarks were devoted to hurling barbs at Russia, tacitly asserting that it is a society “that asks less of oligarchs than ordinary citizens” and declaring that Russia is “attempting to recover lost glory through force.” But these declarations would have been directed far more appropriately at the US, the most unequal developed country in the world. The American ruling class has been engaged in unending war in the effort to counter its long-term economic decline. Obama framed his remarks as a reflection on the past eight years of his administration, as well as on the 25 years that have passed since the dissolution of the USSR. “A quarter century after the end of the Cold War, the world is by many measures less violent and more prosperous than ever before,” Obama declared, adding that the US has “been a force for good” over this period. Contrary to Obama’s half-hearted declarations, the past quarter century has abjectly failed to live up to the proponents of capitalist triumphalism, who declared that the fall of the USSR would usher in a new era of peace and democracy. The US, far from being “a force for good” over this period, has been the single greatest purveyor of destabilization, violence and disorder. Beginning with the First Gulf War in 1991, the US has been perpetually at war, having bombed or invaded Iraq, Somalia, Bosnia, Yugoslavia, Serbia, Afghanistan, Iraq, Pakistan, Libya, Yemen and Syria, and carried out destabilization operations in countless other countries. These wars are now metastasizing into an increasingly direct conflict with Russia and China. This is accompanied by the militarization of the major imperialist powers, including Japan and Germany, as ruling classes throughout the world prepare for military conflict. The General Assembly opened in the aftermath of Saturday’s bombing of a Syrian army base by the US military, in a flagrant violation of the ceasefire brokered between the US and its proxies on one side, and the Syrian government, backed by Russia, on the other. The attack led to over 90 fatalities and was carried out with the assistance of British, Australian and German forces, potentially embroiling these countries in a military conflict with Russia. The bombing took place as Turkish President Erdogan, Washington’s ally in the Syria conflict, said Monday that Turkey plans to dramatically expand the area of Syria under its direct control by more than five-fold, to 5,000 square kilometers. US ground forces are fighting alongside Turkish-backed insurgents, raising the danger of a clash between Russian forces operating in Northern Syria and US ground troops fighting alongside Turkey. But the conflict in Syria is just one in an innumerable series of global flashpoints throughout Europe and Asia. Last week, Japan announced it would participate in US-led patrols in the disputed South China Sea, sparking condemnation from China, which Japan invaded and occupied in the run-up to World War II. Meanwhile in Kashmir, 11 more people were killed in recent days following an attack Sunday that left 18 Indian soldiers dead, in the heaviest fighting in years in the region. Were the conflict, escalated to a fever pitch by the US-led “Pivot to Asia,” to escalate into a war between India and Pakistan, it would be the first ever war between two nuclear-armed powers. Any one of these or other complex conflicts—in which multiple countries are each engaged in low-level proxy fighting and jockeying for their regional interests—risks sparking an uncontrolled escalation, like the conflict that began in the Balkans in June 1914. Obama intended to make his speech an account of the “progress that we’ve made these last eight years.” In the end, all he succeeded in doing was to emphasize how much closer to global war the world has come during his administration.